Roxithromycin is a semi-synthetic macrolide antibiotic. It is derived from erythromycin. The drug is used as an antibiotic. It is used to treat respiratory tract, urinary and soft tissue infections. It shows activity against most gram-positive and gram-negative organisms. Roxithromycin belongs to the class of drug called macrolides. The drug enters the bacterial cell and binds to the subunit 50S of the bacterial ribosome. Thus it interferes with their protein synthesis of the bacterial cell. Protein is very important for the growth and multiplication of bacterial cell. Without protein, the bacterial cell dies and the thus helps to cure the disease. The drug is available in the form of a tablet. The strength of the tablets are 50 mg, 150 mg, and 300 mg. Take the tablet 15 minutes before food or on an empty stomach. In case it makes you feel sick, you can take with food. Take it nearly the same time each day. Adult dosage: – 300 mg one time a day or 150 mg two times a day. Children dosage: – (6-40 kg) – 5-8 mg/kg daily. For cirrhosis: – 150 mg one time in a day. The doctor may adjust your dose if needed. The effect of this medicine can be observed within 1-2 hours. Don’t stop taking the medicine on your own. Complete the dose as per doctor’s advice. Dosage adjustment is required in case of kidney and liver problems. 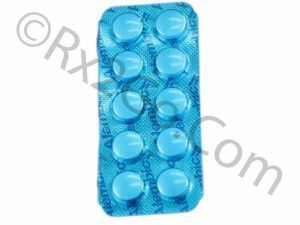 What are the uses of Roxithromycin? A sore throat and discomfort when swallowing. Infection of the bronchi causing coughing. It may also be used for purposes not listed in the medication guide. It is under trial to use it for the treatment of male pattern hair loss. What are the precautions taking Roxithromycin? Upcoming dental or any other surgery. Inform your doctor in case of any side effects. Tell your doctor about all other medicines you take to avoid drug interaction. Generic medicines are cheap as compared to brand ones. They do not need to spend on research and development of products. Other expenditures like the cost of advertising for the brand drug is saved. All this amount is shared with our customers. Thus it is good to buy cheap generic medicine with the same effect as branded ones.